Not all film sequels are successful. Sometimes the long wait and anticipation for a follow-up to the original hit can overshadow any opinion of the sequel. Simply living up to the glory of the first film is too much for any potential next edition to craft their own place in the franchise. Many films (and especially TV shows in their second seasons) have suffered from this fatal flaw. The movie I will be reviewing today is the modelesque comedy flick: Zoolander 2. The Plot: Attractive pop stars from around the world are being murdered and leaving a selfie behind of mimicking the signature look of iconic former male supermodel, Derek Zoolander (Ben Stiller). When Zoolander and his friend, Hansel (Owen Wilson), come out of retirement, they join Interpol's investigation to find the cause of the murders. Zoolander 2 suffers from the sequel curse. The jokes aren't as funny, the film is filled with an overabundance of cameos, and it rests a little too much on reusing jokes from the original hit that made THAT film so special. As a fan of the original movie, I had high hopes that Zoolander 2 would share the same charm but still offer something new. However, as strange as it may sound, the movie didn't feel realistic anymore - almost as if it was a parody of what a Zoolander sequel could be. 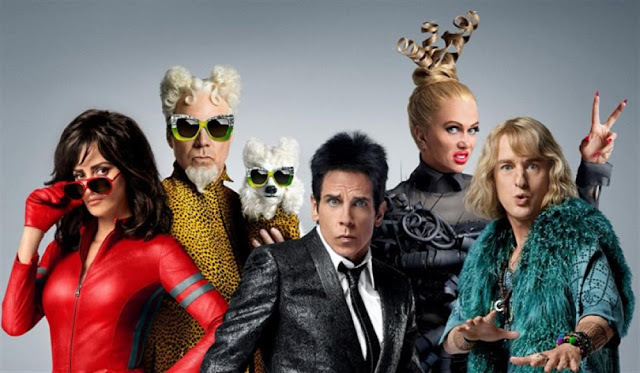 The first, while a campy over-exaggeration of the fashion world, still had a sense of reality too it that could be believable; in comparison, Zoolander 2 was just too much flash that didn't offer much of anything.